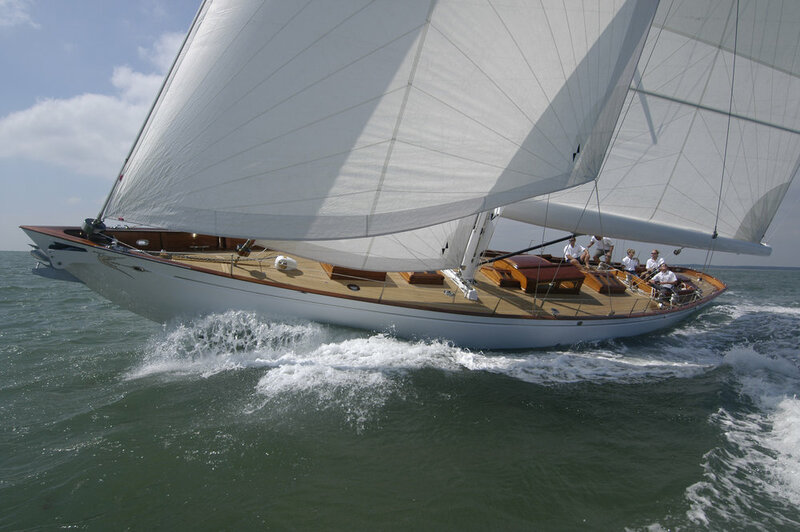 Modern sailing yacht inspired from the golden age of yachting. 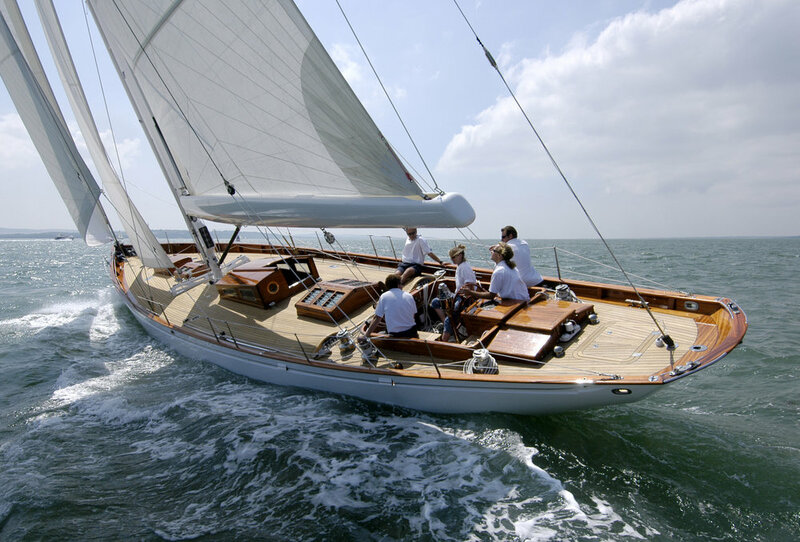 Long keel traditional sailing yacht, built using West epoxy system. Carbon rig with in-boom roller furling. 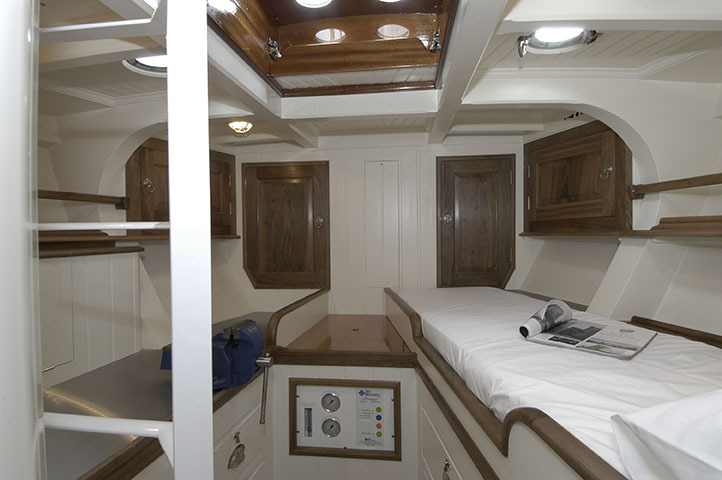 Interior built from European walnut. 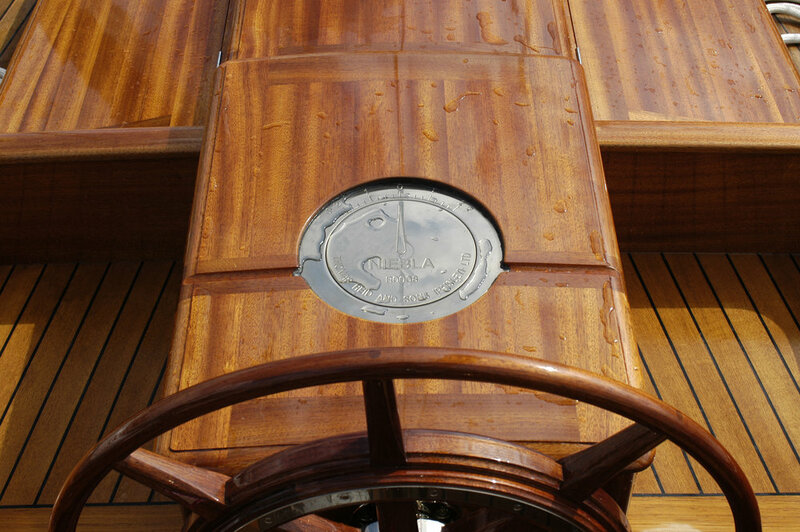 fitted with bow thruster for ease of handling. A true fusion of new and old. 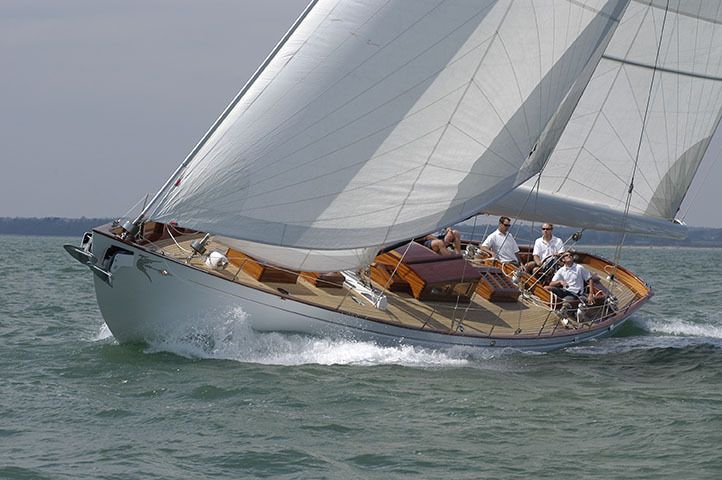 With lines echoing the drawing board of William Fife this cutting edge yacht benefits from all the advances in technology and construction techniques, whilst retaining her sumptuous, classic appeal. 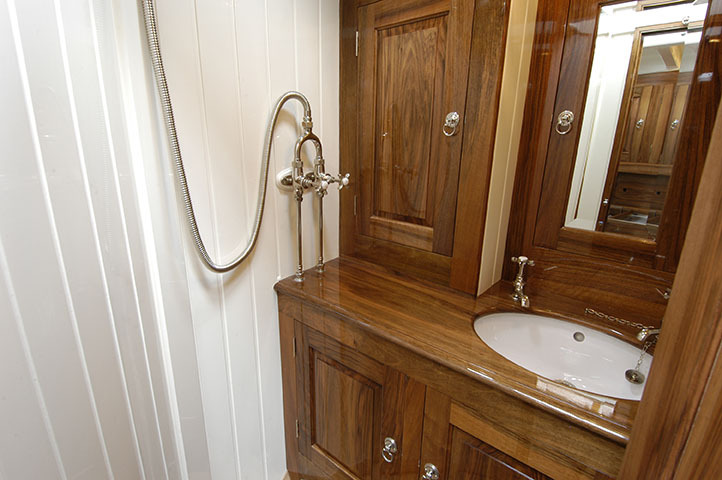 The interior boasts a large cabin aft with a double berth and single berth and a single cabin up forward of the galley, just forward of the very open and airy saloon, all the joinery is made from European walnut. The engine is placed traditionally beneath small sheltered doghouse and access below is down an elegant set curved steps into the saloon. The generator is discretely hidden away in the Lazarette. 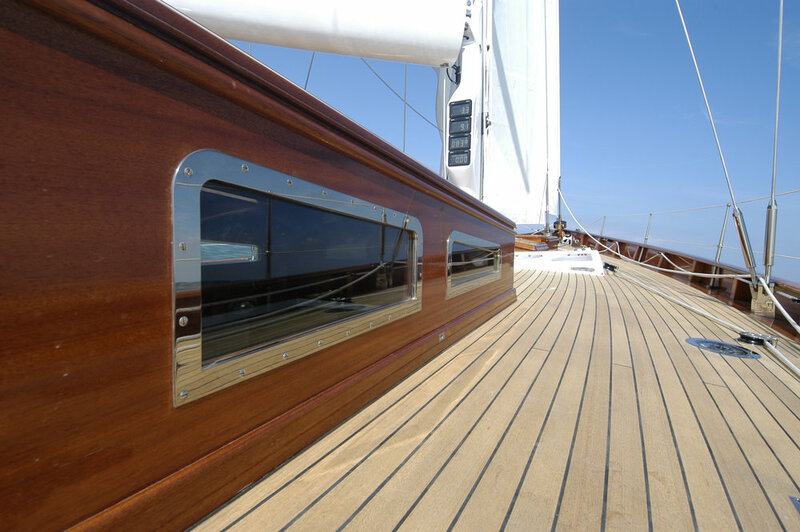 The hull is constructed from a laminated mahogany backbone and frames, with a layer of Douglas fir strip planking, two layers of mahogany veneers laid at 45 degrees and one layer fore & aft. The entire structure is laminated using West System Epoxy Resin and is finally covered with two layers of GRP for protection. 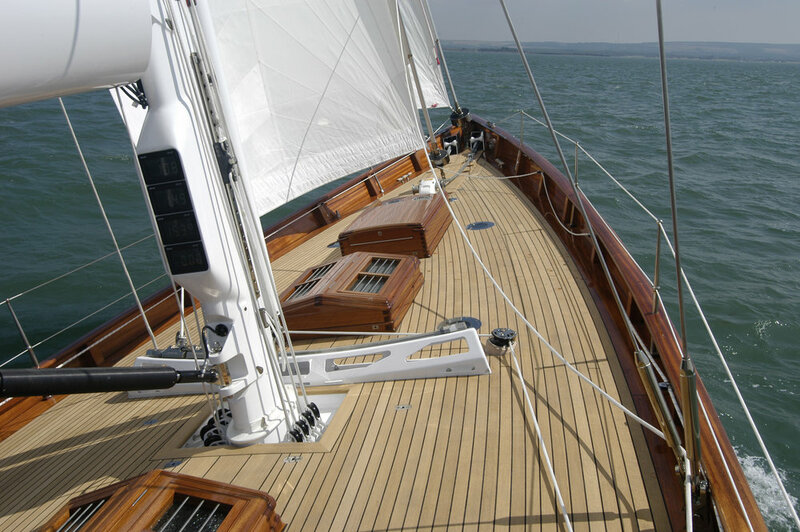 The deck is built from a layer of marine plywood grooved on the underside, and laid with 12mm thick, swept teak decking with a varnished king plank, bulwarks and cap rail. The hull has a long keel and traditionally hung rudder, this configuration gives excellent directional stability in a seaway, a bow thruster is fitted to make life a little easier in a crowed anchorage or marina.